EUTERS/Thomas PeterA promotion video shows an actor wearing LLVision facial recognition smart glasses during a demonstration at the company’s office in Beijing, China February 28, 2018. 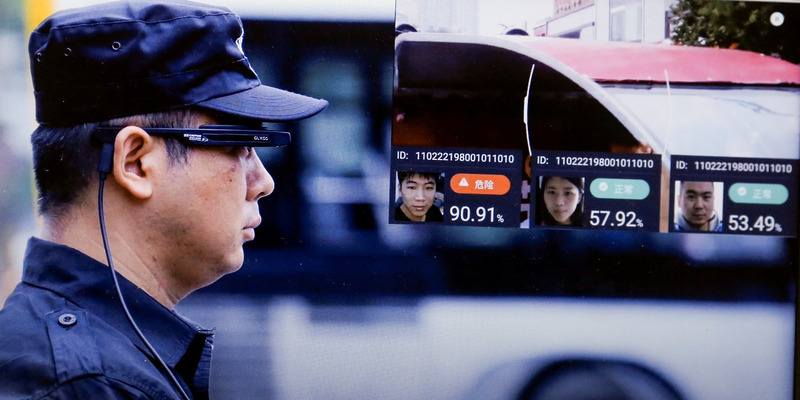 Beijing police began testing facial-recognition glasses last week. They appear to be similar to those first used by police in a Henan railway station last month. China is drastically increasing its facial recognition technology, and hopes to eventually be able to identify any citizen within three seconds. The highly-policed region of Xinjiang serves as a warning to the rest of the country about potential surveillance measures to come. 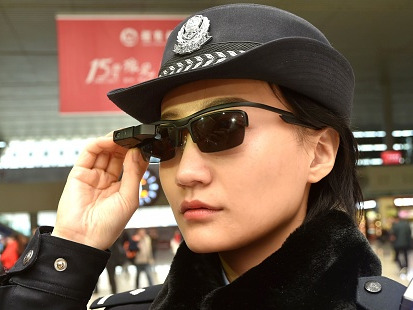 AFP/Getty ImagesA police officer wearing a pair of smartglasses with a facial recognition system at Zhengzhou East Railway Station in China’s central Henan province. While experts worry about the infringement of privacy and human rights, the CEO of LLVision, Wu Fei, believes the concerns are unwarranted. Nearly 50% of Xinjiang’s population are Uyghurs, an ethnic Muslim minority, which the Chinese government treats with suspicion.Facial-recognition cameras are common across the region, licence plate numbers are tracked and freedom to travel is drastically limited. Xinjiang authorities have also requested residents install surveillance apps on their phones, plus DNA, iris scans, fingerprints, and blood types have been collected from citizens, sometimes without their knowledge. In 2016, Xinjiang police bureaus also began collecting residents’ voice samples. This was likely an early step toward a national voice database that could be used to identify any voice in recorded phone conversations. China’s large sample population and lax privacy laws have allowed police and private companies to pioneer such technologies with few limitations – technologies that could dramatically alter how Chinese society operates.